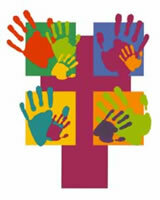 Western Reserve Church offers Sunday School classes to children and youth of all ages, preschool through High School, from 9:30-10:30 AM on Sunday mornings. Each student learns about Jesus at their own level. Nursery care is available for the very young during both the Sunday School hour and the 11:00 worship service. All children are invited to attend the TOGGLE service in the Fellowship Hall at 9:15 AM, where they will join in a few praise and worship songs, then hear a children's message at approximately 9:30 AM. The children will then be shepherded to their age-appropriate classrooms. For more information, contact Jeff Pellin (staff) or the church office.